[toc] Anxiety disorder is characterized by excessive worrying and tense thoughts as well as troubled behaviour. There are various types of anxiety disorders such as generalized anxiety disorder, social anxiety disorder and separation anxiety disorder. A person suffering from an anxiety disorder displays physiological and emotional responses to stressors such as sweating palms, elevated heart rate and constant worrisome thoughts. An anxiety disorder must be treated with the help of a psychiatrist and a trained clinical psychologist. But, herbal remedies can also be used alongside to make a difference to the patient. Herbs which can be used for treating anxiety include Chamomile, Valerian, St. John’s Wort, Passionflower, Kava, Lavender, Skullcap and Lemon Balm. Herbs used to treat anxiety are adaptogens which mediate the body’s reaction to stressors. Some of the herbs are also natural sedatives which relieve anxiety. Known botanically as Matricaria Recutita, Chamomile is a herb which soothes and relaxes the nervous system. It affects the brain in a way that relaxes the person and makes him or her less tense and more peaceful. Chamomile is a natural sedative and it also possesses adaptogenic properties. Chamomile is useful for reducing the physical symptoms of anxiety disorders such as breathlessness, agitation and palpitation. Chamomile tea can be brewed from the dried leaves of this herb for relieving stress and anxiety. You can also use teabags from the market to make the herbal tea. Drink 2 to 3 cups of this tea for optimal benefits. You can also take some Chamomile tea before going to sleep in the night. It relaxes the mind and promotes sound sleep. 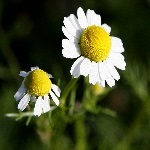 Chamomile must not be taken by those allergic to Rag Weed, Asters, Chrysanthemums or such plants. It should also be avoided if you are pregnant or lactating. Also known as Klamath Weed, St. John’s Wort is known botanically as Hypericum Perforatum. This herb is a well known cure for anxiety disorders. It alleviates tension and anxiety in the mind and makes a person feel relaxed and calm. St. John’s Wort contains substances like hypericine and hyperforin which initiate an anxiety relieving mechanism in the brain. St. John’s Wort can be taken in the form of a supplement, capsule or extract for treating anxiety disorder. This herb’s oil can also be used for a soothing massage. 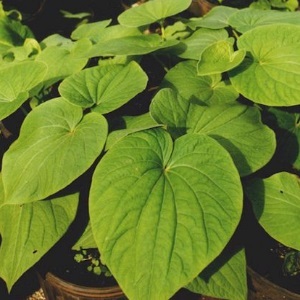 Known botanically as Piper Methysticum, Kava is also a popular cure for anxiety related disorders and diseases. Kava contains active ingredients called kavalactones or kavapyrones which help a person to become relaxed without losing his or her cognitive clarity. These kavapyrones include kawain, methysticum and dihydrokawain. This herb is used to make drinks for ceremonies in the South Pacific Islands. It is also used for making salads in Indonesia. Several studies have proved that Kava is a good herbal cure for anxiety disorders, insomnia, stress and agitation. This herb is native to Fiji where it is called Yaquona. This herb’s leaves can be chewed for relief from anxiety disorders. Kava tea can also be consumed to ward off the symptoms of an anxiety disorder. Passiflora Incarnata is the Latin name by which this herb is also referred to. Passionflower contains flavones called chyrsin which assist in soothing the anxiety of the person who has this mental disorder. Anxiety disorders can be treated by taking this herbal remedy in the form of an extract, capsule or supplement. Passionflower tea can also be consumed for healing the mind and soothing the anxiety ridden person. Passionflower tea has been found by experts to be as effective as benzodiazepine medications like Xanax which are used to treat anxiety disorders. Melissa Officinalis or Lemon Balm is a herb which has the ability to calm an anxious person with ease and efficacy. Substances called terpenes found in Lemon Balm soothe the mind and help a person suffering from an anxiety disorder to let go of his or her worries. You can take Lemon Balm in tincture, supplement or extract form for beneficial results. 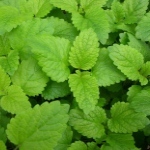 The fragrant aroma of Lemon Balm further relaxes the limbs of the body and makes a person feel more stable emotionally. Raw, fresh leaves of this herb can be added to tea, soups, salads and hot drinks and consumed for good outcomes. Lavandula Augustifolia is the botanical name of this herb. Lavender contains essential oils which soothe the inner mind and help the patient suffering from an anxiety disorder to become more at ease and tranquil. Lavender oil can be used to massage the head, neck, shoulders and limbs of a person with anxiety disorder. This can assist the person in being more peaceful and untroubled. Lavender oil can also be inhaled in a vaporizer to make the patient feel physically and mentally relaxed. For inner serenity and peace, you can also put a few drops of Lavender oil in bath water and take a fragrant and soothing bath. Known by the Latin name Valeriana Officinalis, Valerian is a herb which has been found as effective as the medicine diazepam in combating anxiety disorders. 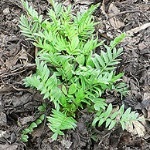 Valerian root is considered this herb’s most curative part. Valerian is an adaptogen which reduces the body’s stress and tension in the face of anxiety stimulating situations and people. Valerian root extract can be given to a person suffering from an anxiety disorder in order to remove restlessness as well as anxiety induced insomnia. Valerian is a herb which is a natural sedative and it can be used to induce sound and restful sleep at night. Valerian root can also be used to brew tea which can be given to calm the person diagnosed with an anxiety disorder. Scutellaria Lateriflora is the botanical name of this herb. It is also called Skullcap because its flowers are shaped like helmets. In fact, another common name for this herb is Helmet Flower. It is also called Blue Pimpernel. Skullcap is a herb which has active ingredients such as scutellarin and baicalin that ward off sleeplessness caused due to the anxiety disorder. 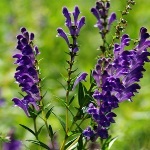 In fact, taking Skullcap leaves extract can lead to undisturbed sleep at night and relief from anxiety in the day time. Skullcap is rich in flavanoids that make a person less anxious in the face of stressful situations. Therefore, Skullcap is an ideal herbal remedy for anxiety disorders such as generalized anxiety disorder.